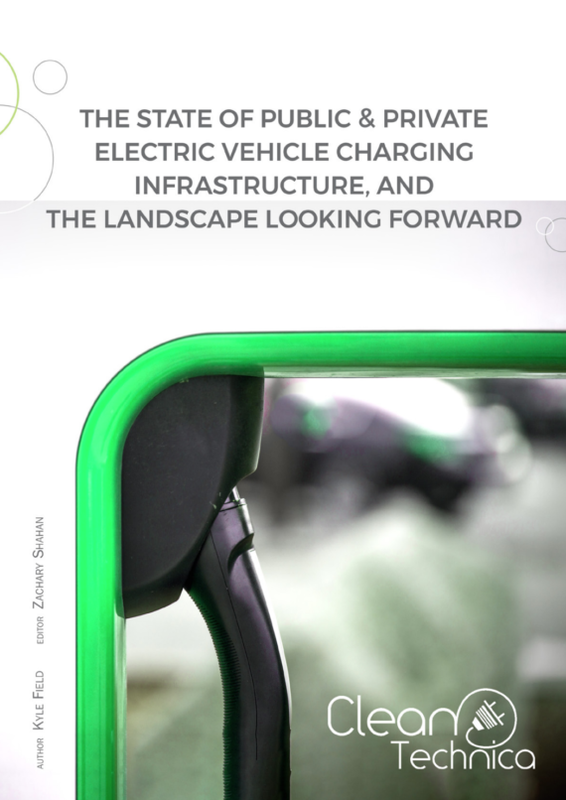 The public discussion about plug-in vehicle charging often focuses on the installation, quantity, distribution and speed of public chargers, but the data reveal that the vast majority of charging happens at home. The challenges with residential charging are best split two ways – renting vs owning and single-family homes vs multi-family housing. Owning a home makes the process of adding an EV charging station to the home electrical network a more straightforward process, as any upgrades can happen at the discretion of the homeowner and can add to the value of the home. Renting and apartment living can make plug-in vehicle charging at home challenging, as it requires the consent of the homeowner’s association, property owner, or building manager. Further complicating matters, the electrical grid for multi-tenant housing may not have been built to accommodate the extra incremental load of plug-in vehicle charging for even a handful of units, let alone the full population of the building once they are driving plug-in vehicles. Solutions such as EverCharge have cropped up to address this with intelligent, dynamic load balancing to maximize vehicle charging load within the constraints of the grid connection capability. The latest US Census survey revealed that 63% of the population lives in a property they own, with 37% of the population renting. Of our survey respondents, more than two-thirds said they own detached homes — with 85% living in single-family homes and just under 11% living in multi-family housing. The majority of the readership of the sites the survey was hosted on (CleanTechnica, Gas2, and EV Obsession) live in the US and have higher than average household incomes. This correlates with the higher than average percentage of single-family homes, which are, on average, more expensive than multi-family residences. 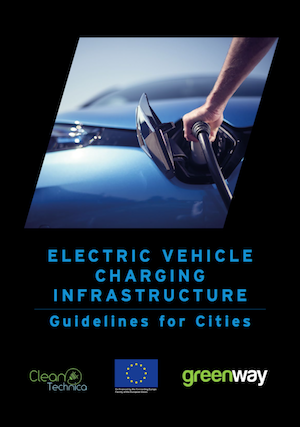 The mixed landscape of residential living situations combined with the complex landscape of electrical utilities makes residential plug-in vehicle charging challenging to address at the global, national, or even regional level in most cases. 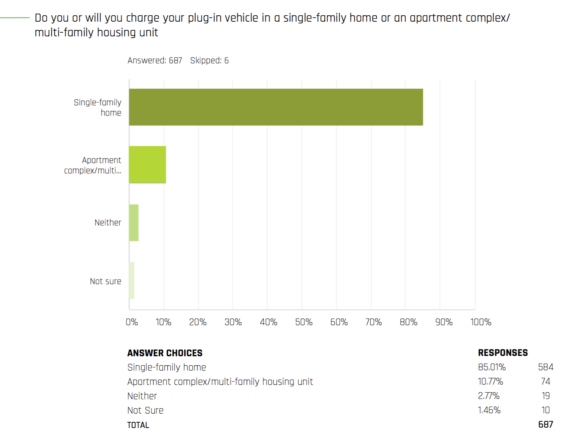 Popping open the garage of plug-in vehicle owners today, a full 70% of survey respondents believe their current home electrical service can accommodate plug-in vehicle charging. 18% believe they will require an electrical service upgrade to add electric vehicle service equipment (EVSE) to the property. 7% are not sure. The final 5% responded that this was not applicable. The landscape of currently installed residential EVSE is varied, resulting in “Other” being the top choice from our lengthy list of EVSE, with 30% of respondents choosing that option. 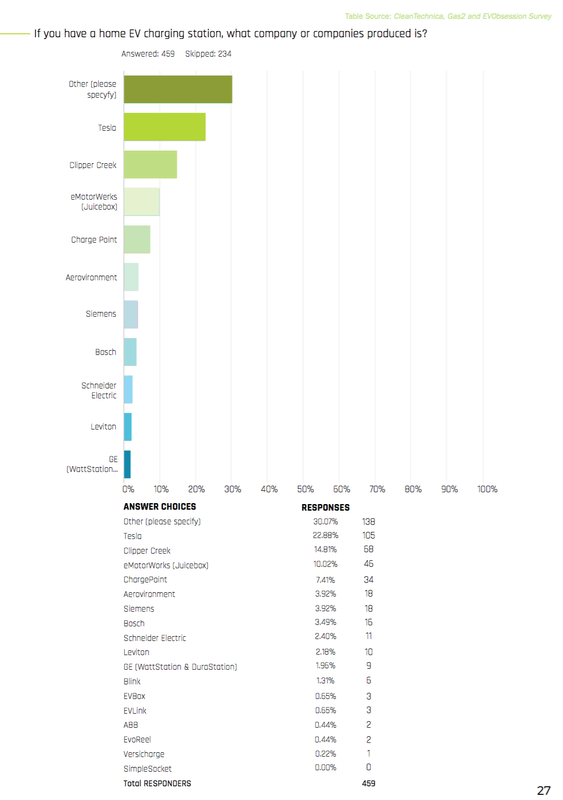 Second on the list was Tesla with 22.9% of respondents, followed by the popular Clipper Creek and eMotorWerks EVSE with 14.8% and 10% of respondents respectively. Until recently, home EV charging stations were little more than appliances that transformed the power from homes into the format required for electric vehicles, so it was easy for electrical component manufacturers to compete in the space. With the emerging trend toward connected, intelligent chargers, product differentiation with value-add options for data collection, remote control, pre-programmed charging behavior, and demand response functionality built into the EVSE out of the box, consumers are increasingly expecting these features. The majority of plug-in vehicle drivers in the early majority bought plug-in vehicles for environmental reasons. Additionally, in the US, many of these drivers are in California, which has one of the most competitive and mature solar power markets. These factors have resulted in a disproportionate number of early electric vehicle drivers also installing rooftop solar. As the total costs of ownership for residential rooftop solar systems and plug-in vehicles have continued to fall, they are both increasingly becoming attractive as cost-saving solutions for homeowners. Complementing these trends is the fact that plug-in vehicles drive noticeable increases in residential electricity usage for homeowners charging at home. This extra electricity demand gets some consumers thinking about self-generation options, most notably solar. Combined, this means that a highly disproportionate percentage of plug-in vehicle owners have installed rooftop solar power systems. Surveys showed that 32% of respondents already owned a rooftop solar system while 51% did not. 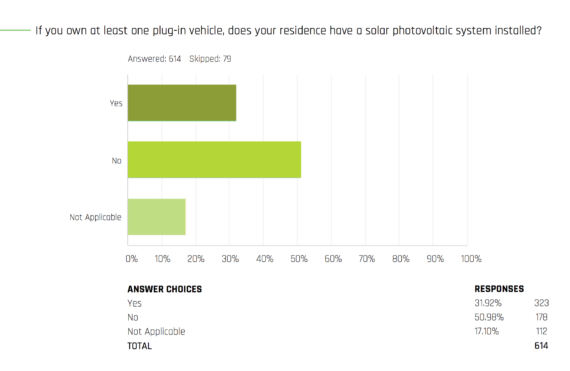 Adjusting for those who aren’t currently owners of plug-in vehicles, we can see that of those who own at least one plug-in vehicle, 38.5% have a solar photovoltaic system installed to convert the sun’s energy into electricity for their home and vehicle. The natural synergies between plug-in vehicles and residential rooftop solar were the stated reason behind Tesla’s acquisition of SolarCity in late 2016. Tesla believes it can upsell plug-in vehicle drivers with a rooftop solar system and a residential energy storage system with the purchase of the car. It has, as they say, bet the farm on that proposition paying out. Rooftop solar is a more challenging proposition for those living in multi-family housing, whether they rent or buy. With shared roof space, installing solar panels is simply not an option for most residents of multi-family dwellings. However, we didn’t dive into that niche topic more deeply.